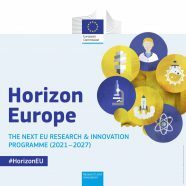 The Commission has published its proposal for Horizon Europe, an ambitious €100 billion research and innovation programme that will succeed Horizon 2020. 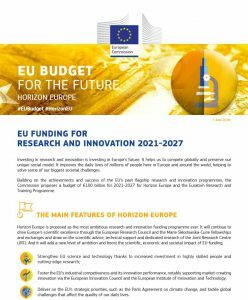 The proposal was made as part of the EU’s proposal for the next EU long-term budget, the multiannual financial framework (MFF). 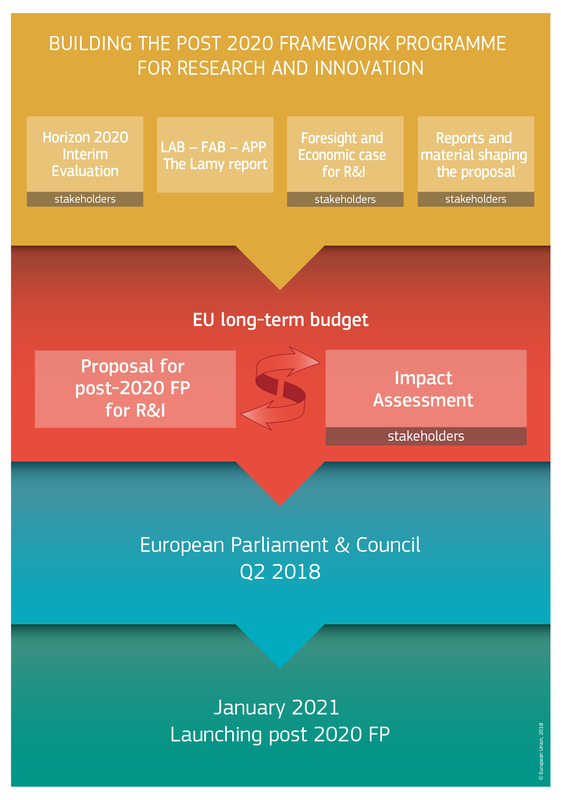 Various building blocks were taken into account including the interim evaluation of Horizon 2020, the Lab-Fab-App report (informally the Lamy report), foresight studies and various other reports. 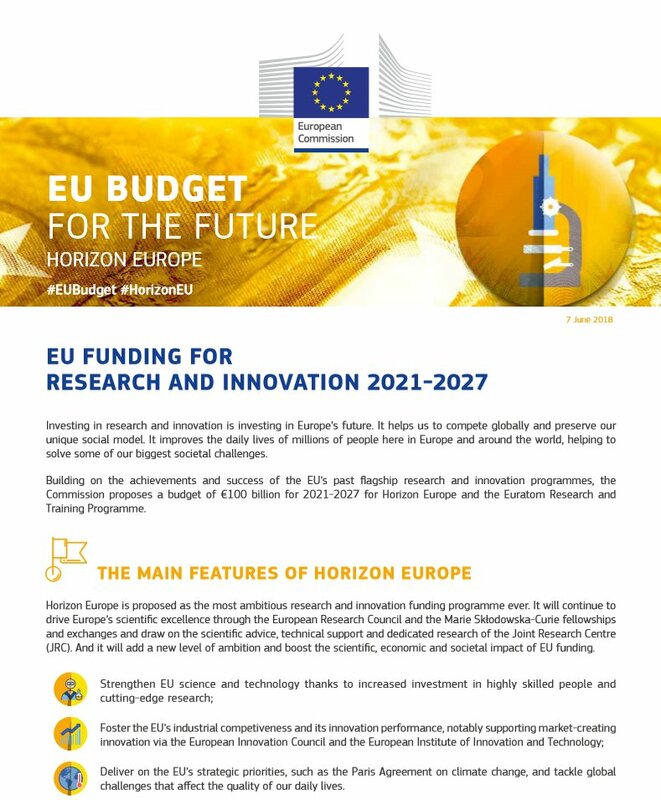 Horizon Europe will incorporate policy missions to ensure the effectiveness of research and innovation funding by pursuing clearly defined targets. The Commission has engaged policy experts to develop studies, case studies and reports on how a mission-oriented policy approach will work. 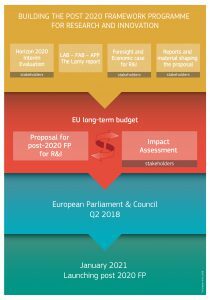 Read more about the next research and innovation framework programme.